Product #21106 | SKU 037327 | 0.0 (no ratings yet) Thanks for your rating! This Rycote Hot Shoe 1/4" Adapter (037327) is used to mount 3/8" compatible mounts and adapters onto the hot shoe of a video camera. 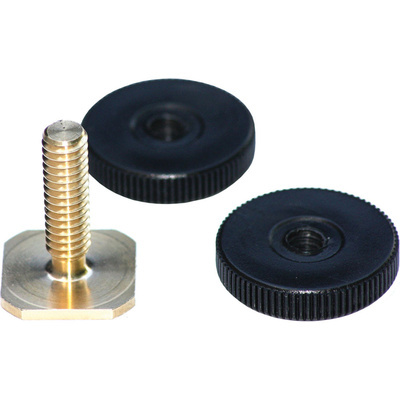 The Hot Shoe adapter features a 1/4" female bore and includes 2 thumbscrews for securing.